There is good news for all those Job Seekers who want to make their career bright in Bhabha Atomic Research Center. Here, in this article, we are going to describe all the information regarding the BARC Vacancy 2018 in the following sections of this article. All the interested and eligible individuals who want to do a Job in Bhabha Atomic Research Center Department then they can read this complete article. 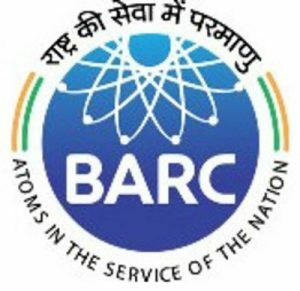 You may apply online for this BARC Group A & B Recruitment 2018 from the official website of Bhabha Atomic Research Center that is www.barc.gov.in. For getting more details, about the upcoming government Jobs, admit card, answer key, result etc., Scholars can bookmark our careerjobs360 official web page & stay connected with us for further use. The Bhabha Atomic Research Center has recently released the employment advertisement for BARC Vacancy 2018 to appoint eligible and deserving individuals for fill up 17 posts Group A & B Positions on its official website. All the interested and skilled Aspirants who want to make their career bright in Bhabha Atomic Research Center they may apply online for BARC Group A & B Recruitment 2018 on or before the deadline date that is 10th October 2018. This is golden opportunity for the job aspirants those who are seeking for the latest government job in the Bhabha Atomic Research Center. All the individuals those who are eligible they need to fill the Bhabha Atomic Research Center Jobs 2018 Application Form by visiting the official web portal of the Bhabha Atomic Research Center department that is www.barc.gov.in. For more information about the BARC Vacancy 2018 such as required qualification, age criteria, selection procedure, how to apply etc., is mentioned in the article below. Medical/Scientific Officer/D (Dental Surgeon – Prostho Dontics): Interested candidates must have done M.D.S from a recognized university. Nurse/A: Interested candidates must have done 12th and Diploma in Nursing & Midwifery. Aspirants must possess valid registration as Nurse from Central/State Nursing Council in India or B.Sc(Nursing). Applicant’s age limit should lie between 18 to 40 years. Upper age relaxation will be reserved only for the reserved category as per the government rules and regulation. Applicants will be selected on the basis of their Written Exam, Interview, Skill Test round which is going to be organized by BARC. How to Apply for BARC Group A & B Recruitment 2018? Initially, willing candidates should access the Bhabha Atomic Research Center official website which is www.barc.gov.in. Then, go to the notification section and Search out the BARC Group A & B Recruitment 2018 Notification link on the homepage. Then, all the candidates must read the eligibility criteria and then, click on apply online tab. Now, fill the application form with all the accurate information in the given box. Then, click on the submit tab button and submit the application form. Aspirants can get the hard copy of the application & keep it safely for further use.